That’s a LOT, what does it do? Contribution Based Mystery Jackpot. The more the customer risks the greater the chance of winning. Each Progressive can have as many levels as is practical to show on a screen. Machines from different casinos can participate. A particular machine can participate in more than one progressive. It can be part of a casino wide, a multi casino and a local bank progressive. 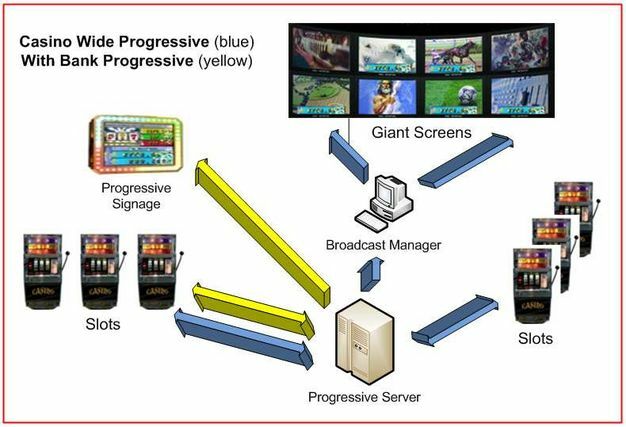 The progressive feed is integrated into a digital broadcast system that can be integrated into existing digital displays and can have up to four broadcast channels with different content. On a progressive hit all channels can enter celebration mode. Different levels of jackpot hit can have different effects. 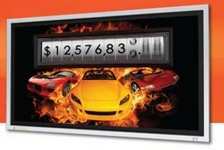 The casino can choose either or both methods for digital display. This flexibility permits a machine or group of machines to participate in different progressives. Digital content is customized to your operation to give you the distinct “look and feel” your casino wants. Harris Infocaster is the digital broadcast system. It manages the casino’s widescreens with up to four channels. Widescreens can be ganged together by channel. 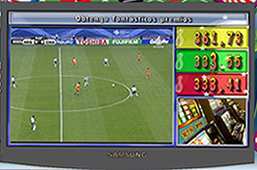 Infocaster can be used to display sports, news or other content blended with the progressive odometers. All channels can be synchronized in the event of a progressive hit. The progressive display system shows odometers in the conventional fashion. This information can be sent to progressive signage, toppers and even face plate video displays. 1Machines must be SAS capable and use our SAS controllers directly or use our SysTap® with a system that uses a continuous polling protocol. SysTap® machines cannot be disabled if progressive is down. Smaller frequent progressives keep excitement up and the big progressives keep attention on your casino. Progressive levels are configurable with minimum and maximum values. Each progressive level can be configured with a different contribution percentage (on theoretical net win). Each bet’s theoretical contribution is added to the progressive. Web Based secure management, monitoring and logs. Comprehensive reports for account and fine-grained audit. Remote access of progressive levels and reports via Blackberry. Security: The system complies with GLI-11 specifications for Progressives.